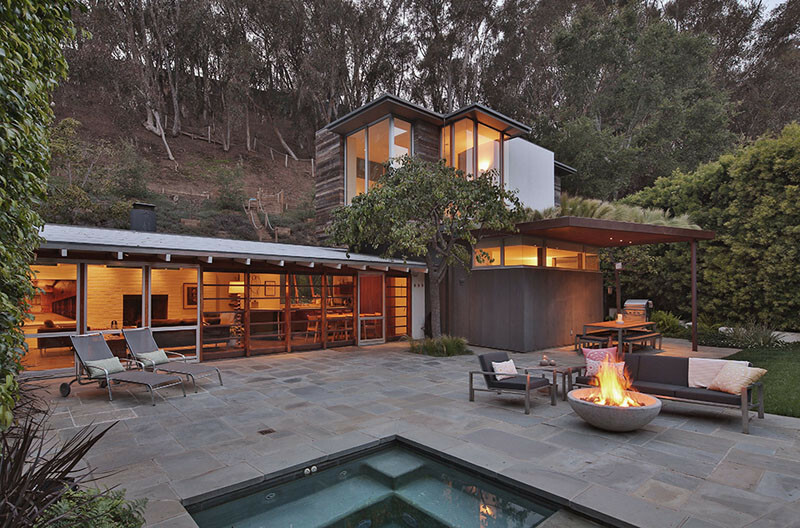 Architect Warren Wagner of W3 Architects, was originally hired to redesign this 1950s era home in 1989 as his first commission out of graduate school. 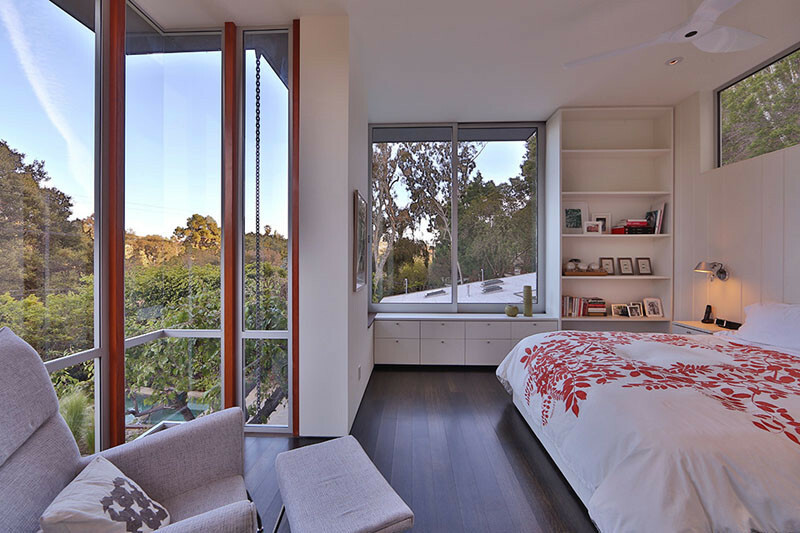 More recently, he was hired again by the current owners to renovate the home into what you see in these photos. 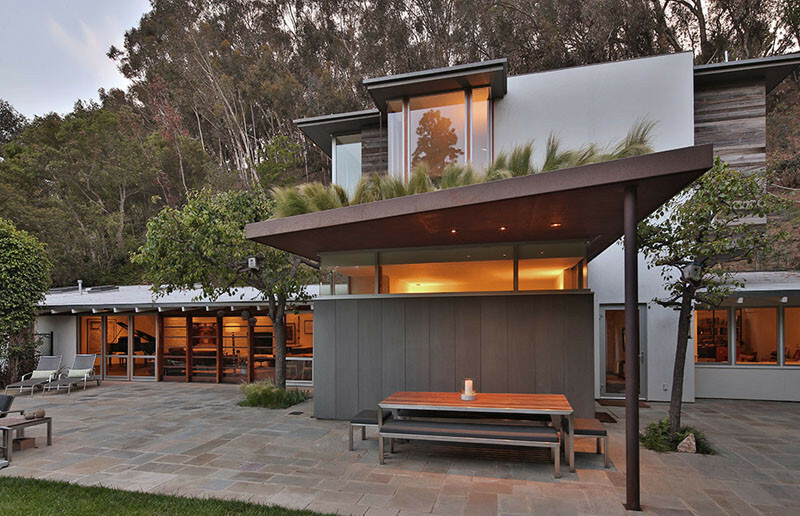 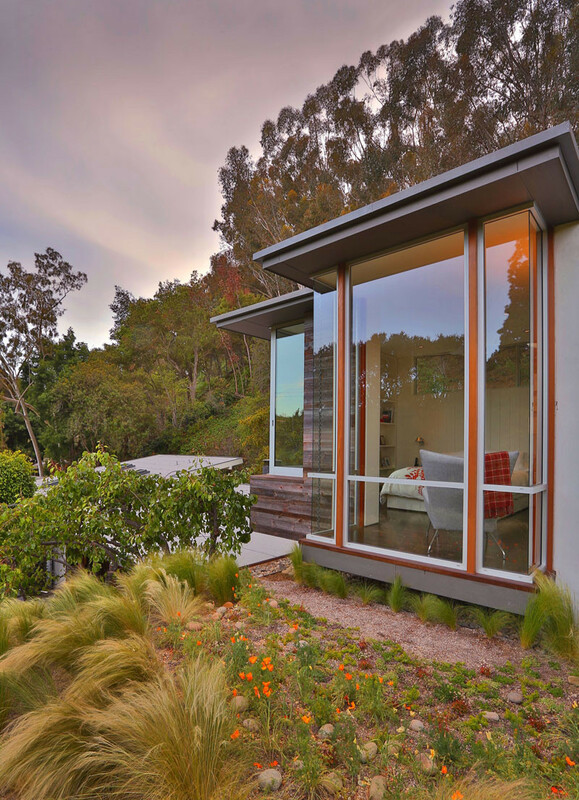 The home is located in the Santa Monica Canyon in California, giving it views of the surrounding trees and bushes. 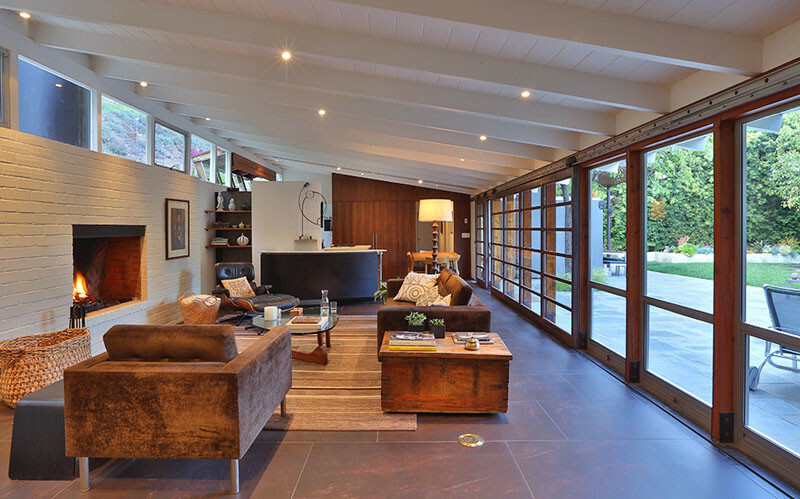 Inside, there’s a wall of windows and doors that open to the patio. 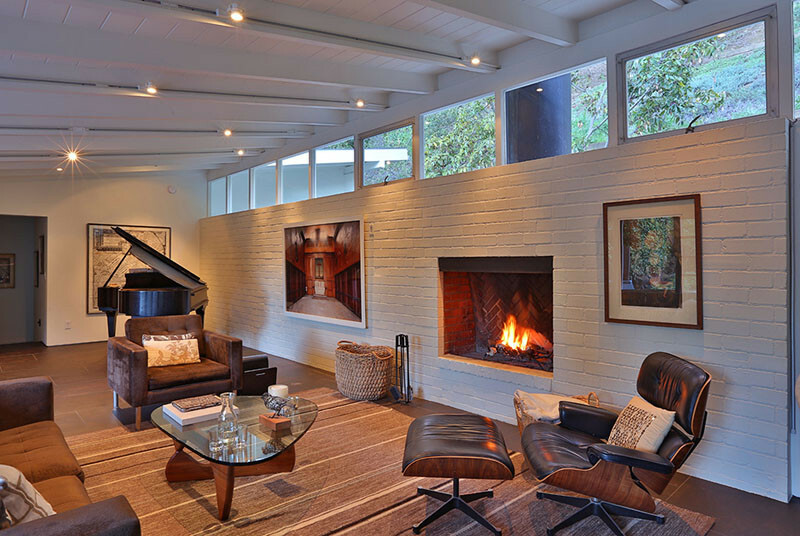 On the opposite wall, there’s a fireplace built-in to the painted brick wall. 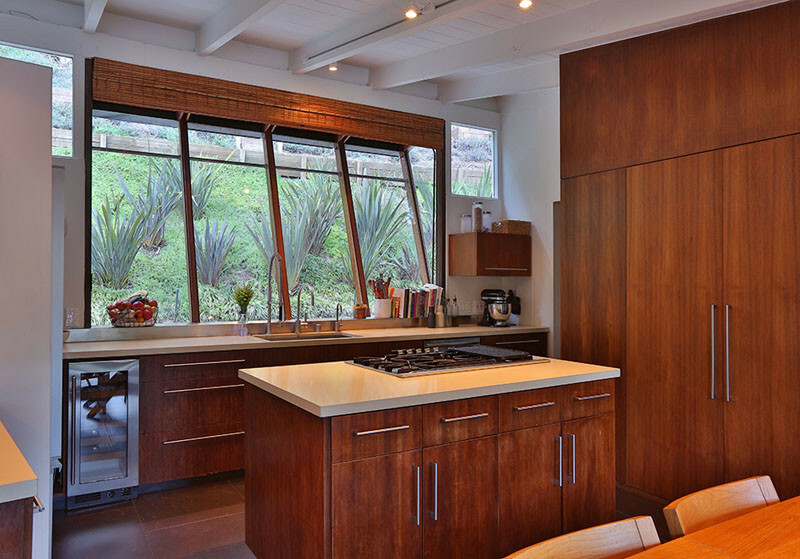 The kitchen has large angled windows above the sink, while the island is home to the cooktop and additional storage. 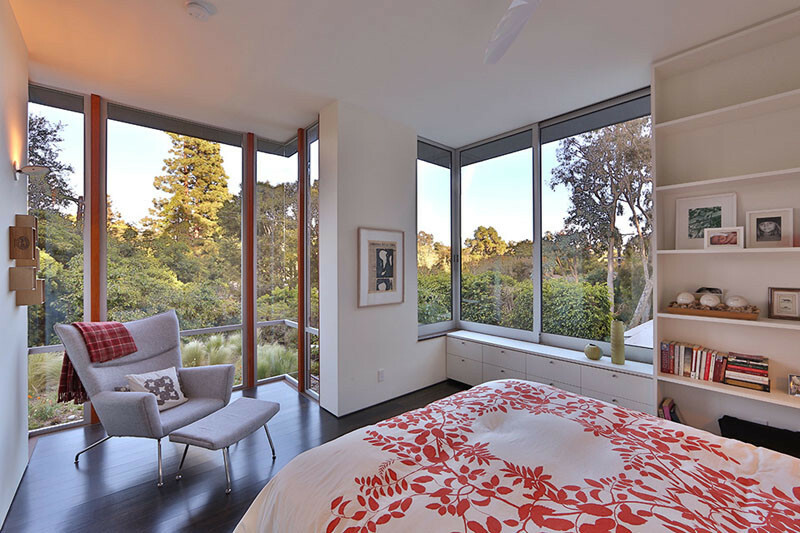 The master bedroom has built-in cabinetry and floor-to-ceiling windows with views of the valley. 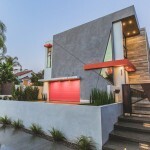 The home is currently for sale and is listed through Frank Langen.